Jesus often surprised people. He did not conform to what people expected of him. 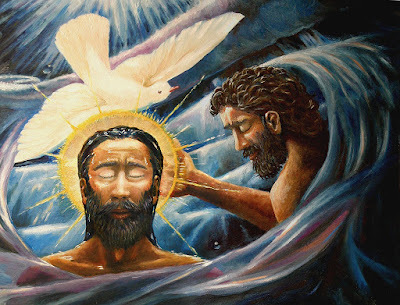 In his first appearance as an adult in the gospel accounts he joined the repentant sinners asking to be baptised in the River Jordan by John the Baptist. John wanted to prevent this happening. He recognised that Jesus did not need this, but Jesus quietly insisted that it should be so. He is indeed Emmanuel, God-with-us, fully human and humbly identifying with humanity. 6 January is the Feast of the Epiphany which starts the Epiphany season which follows the 12 days of Christmas which ended yesterday. 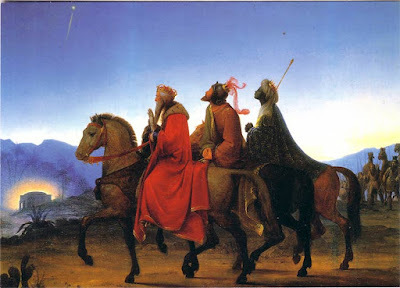 The celebration on 6th January focuses on the story in Matthew's Gospel of strange outsiders from the east, the magi, people obsessed by study and interpretation of the movements of planets and stars. They followed the direction of a new star, expecting to find a new special king. What they found was a toddler with his parents, in an ordinary house in Bethlehem, on what was presumably for Mary, Joseph and their son Jesus, an ordinary day. And they were overwhelmed with joy. It was no surprise that today, the 9th day of Christmas my true love did not give me '9 ladies dancing' as did the lover in the song 'The 12 Days of Christmas'. 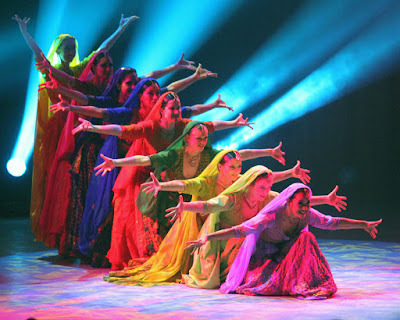 So I will be content with this beautiful image of Indian dancing instead. If you go along with the idea that the song 12 Days of Christmas was once used as an aid for basic Christian instruction, then the '9 ladies dancing' may represent the 9 attributes of Christian living that are the fruit of the Holy Spirit. There would be so much more joyful dancing in the world if that sort of fruit was cultivated. Happy New Year to all who read this today 1 January 2017. What exactly is 'Happy New Year'? Does it happen by chance or can we do something to make it 'happy'? Here's a recipe from an anonymous source for a Happy New Year. Take twelve fine, full-grown months; see that these are thoroughly free from old memories of bitterness, rancour and hate, cleanse them completely from every clinging spite; pick off all specks of pettiness and littleness; in short, see that these months are freed from all the past—have them fresh and clean as when they first came from the great storehouse of Time. Cut these months into thirty or thirty-one equal parts. Do not attempt to make up the whole batch at one time (so many persons spoil the entire lot this way) but prepare one day at a time.